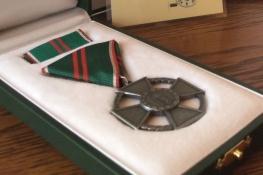 Zoltán Cseh was recently decorated with the Silver Cross of Merit of Hungary. The CEO of Colas Északkő Bányászati Kft. received the honour from the President of Hungary for his work in support of the country’s road construction, motorway construction, and railway reconstruction programmes.